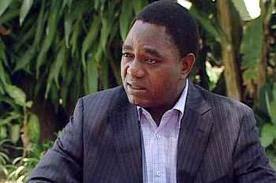 PF police in Mongo, Western province, have blocked UPND president Hakainde Hichilema from holding an in-door meeting with stakeholders and party officials in the area. Information obtained by the Watchdog from Western province have cited the raising tension between the Barotse Activists and the Zambian government as reason for not allowing the UPND leader to hold meeting with his party officials. Police have so far blocked all the meetings and rallies by the opposition UPND party even defying court orders that ordered the meetings to go ahead. In Lusaka, Kanyama, PF police sealed off the venue for the UPND rally claiming security concerns while the Police again stopped the planned rally in Chawama advising the opposition party to hold meeting in open low density allows. The move by the police to deny permits to the opposition political has so far been roundly condemned by various civic organization groups, including those that were previously compromised by the PF such as LAZ, TIZ, SACCORD, among others. PF priest Fr. Frank Bwalya last night also said he would love to listen to UPND and other leaders and urged the police to give them permits. Fr. Bwalya who campaigned heavily for the PF last year to the extent of beheading a chicken in public said he could not believe that the same things that he and others fought against were the ones happening under the PF government. Featuring on MUVI TV assignment programme with Costa Mwansa on Sunday evening, Fr. Bwalya said the police action was shocking even to PF supporters and sympathizers who believed in democracy. “I have the right to listen to Hakainde and Hakainde has the right to express and impart his opinions. These are constitutional issues. And when you see the police violate the constitution and the president does not stop it, “chila nkankamisha”-(it shocks me), he said in Bemba, adding that someone was not properly doing their job and that could cost the PF if not addressed. The Zambian Human Rights Commission has also questioned the PF police motives in blocking UPND meetings because the move was undemocratic.